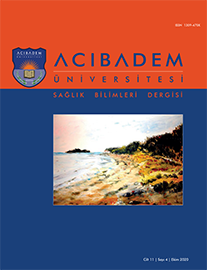 1İzmir Kâtip Çelebi Üniversitesi, Hemşirelik, İzmir, Türkiye Purpose: This study was conducted to investigate and systematically review the data obtained from published studies relating to the effect of complementary and integrative therapies on pain management of patients within palliative care units. Method: This study was carried out using the Google Scholar, Pubmed, Science Direct, Proquest, Cochrane, EBSCOhost, Clinical Key, and Ovid databases. The search was limited to between 1 January 2012 and 31 January 2017 and retrieved both national and international research using the following keywords: reflexology, aromatherapy, music therapy, yoga, massage therapy, reiki, TENS, acupuncture, hypnosis, therapeutic touch, acupressure, mind and body practices, complementary and alternative medicine, pain management, palliative care. Thirteen publications were evaluated as being in accordance with the inclusion criteria for the content of the study. Results: The publications comprised four descriptive studies, one retrospective study, one group with no controls, a quasi-experimental, mixed-methods design, one semi-experimental (pre-test and post-test control subgroups within non-randomized groups) design, two semi-experimental (single group pre-post-test, with randomized controls) and one qualitative design. The studies included made use of the "Visual Analogue Scale (VAS)", "Measure-Yourself Concerns and Wellbeing Questionnaire", "Numeric Scale (NRS)", "Well-Being Scale", "Functional Analog Scale (VAS)", "Pain Scale", "Nursing Assessment of Pain Intensity Scale", "Face to Face Interview Technique" and "The Edmonton Symptom Assessment Scale (ESAS)". These data collection tools were used to evaluate the effect of complementary and integrative therapies on pain.